MANILA, Philippines – Chef, author and TV personality Anthony Bourdain visited a Jollibee restaurant in Los Angeles and ate halo-halo for his new show, “Anthony Bourdain Parts Unknown,” which aired on CNN on Sunday. Filipino food is not new to Bourdain, who did an entire episode on the Philippines for his previous show, “Anthony Bourdain No Reservations,” where he visited Chinatown and ate lechon, among others. Sunday’s episode was actually about L.A.’s Koreatown and Bourdain was accompanied by two guides, Korean-Americans Roy Choi and David Choe. Among the restaurants he visited were Dong Il Jang, where he ate bulgogi; and Chego, where he tried the popular kimchi Spam bowl. But Bourdain’s food trip around Koreatown wasn’t limited to Korean food. He also visited Sizzler, supposedly for the very first time; and tried goat stew and fish curry at a Swadesh in the area’s Little Bangladesh section. 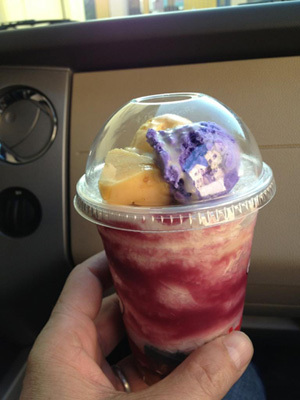 Also in the area is Jollibee, located near Sizzler, and here Bourdain had a taste of halo-halo, which CNN described as a dessert consisting of red beans, white beans, Jell-O, chick peas, coconut, shaved ice and flan. 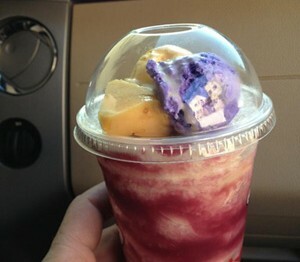 Bourdain even posted a photo of the halo-halo on his Twitter account. Hi! Someopne in my Myspace group shaed this site with uus so I came to check it out. clothing and gold looks best with light colored clothing. the two main types of jewelry color. bookmark yolur blog and definitely will come back very soon. Tie the rope around the tree so it is secure. The coolness of the water when you swim will help you feel clean and refreshed, so you may not miss your home shower as much. the proper item twice as a lot fun for you! here, however I assumed this post was good. I don’t realize who you might be but certainly you’re going to a well-known blogger in the event you are not already.